Nic’s current activities involve engaging with local A-level students and teachers using the resources offered by Isaac Physics, and developing props to engage vision impaired and blind people with current astronomy research. He is the current lead of The Tactile Universe project. BCS, the Chartered Institute for IT, Campaign for Science and Engineering, General Medical Council, Institute of Physics, Royal Academy of Engineering, Royal Society, Royal Society of Chemistry, Science Council, Royal Society of Biology and Wellcome Trust. Ian is the Chief Executive of the SPECTRUM Centre for Independent Living in Southampton. Ian is actively involved with several other organisations controlled by Disabled People, including being a trustee of Disability Rights UK. He has served on a number of influential bodies, locally and nationally, and co-founded the South East Network of Disabled People’s Organisations. Ian describes himself as evangelical about the Social Model of Disability, the importance of a strong and vibrant Disability Movement, and the development of User-Led Organisations. He sees these as tools to enable the emancipation of Disabled People from the daily discrimination and oppression they face. Stephen Duckworth is an academic and entrepreneur. In the 1980s his MSc and PhD were instrumental in influencing the introduction of anti-discrimination legislation in the UK. In the voluntary sector he helped establish local user led organisations and was a Trustee of both regional and national charities. In the 1990s Stephen set up the Bridge Recruitment Agency and led a regional recruitment initiative to support disabled people into employment. He also became a non-executive director of a finance company supporting disabled people in the purchase of wheelchairs and scooters. In the 2000s, Stephen became a Board Director of the Olympic Delivery Authority to ensure the appropriate governance of health, safety, environment, equality and diversity issues across the £9.2 billion expenditure of public funds. His new business, Disability Matters Global, has a simple vision to "Create a more inclusive world". Stephen became a powered wheelchair user at 21 when a medical student before qualifying as a doctor and is paralysed from the neck down. 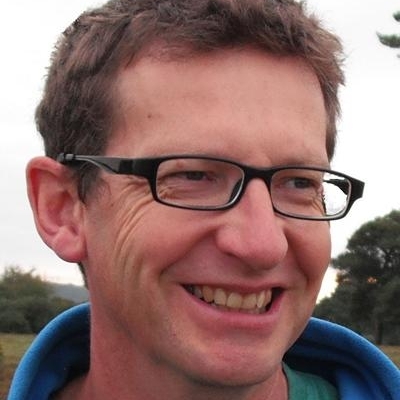 Dr Steve Dorney is Principal Public Engagement Fellow within Engineering and the Environment at the University of Southampton. Steve Dorney joined the Faculty of Engineering and the Environment in 2011 after 5 years at the Institute of Sound and Vibration Research developing science communication and public engagement activities in acoustics. He has worked previously in engineering, education and the third-sector. Current activity extends to impact enhancement, student employability and outreach, as well as core support for Public Engagement with Research (PER). "Bringing Research to Life" Roadshow, touring up to 9 research-based activities each year to destinations including Cheltenham Science Festival. 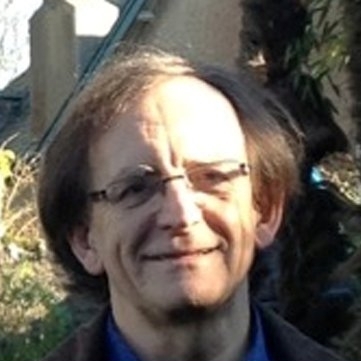 Dr Matthew Wright is Senior Lecturer in Acoustics in the Faculty of Engineering and the Environment at the University of Southampton, and Director of Acoustical Taught Programmes. Matthew first came to the ISVR in 1986 as an undergraduate Acoustical Engineering student and, apart from a short but enjoyable spell at Trinity College, Dublin, he’s been there ever since, on the principle that he came here to learn about sound and vibration and he says he doesn’t yet understand it all. As well as researching and teaching Matthew gives talks to schools and science festivals about acoustics, particularly musical acoustics. David read classics at Cambridge before joining IBM where he became Sales Director and Group Staff Director. He then was Group Managing Director of the RAC Motoring Services and a non-executive director of Triplex Lloyd and Doncasters. In the NHS he served as Chairman of Winchester and Eastleigh Healthcare Trust, and, in the charity world, Chairman of the RNID, Deafness Research UK, AbilityNet, and locally of Winchester Science Centre when it was formally known as Intech Science Centre and the Newbury Spring Festival. He was also a trustee of Naomi House and governor and Deputy Chairman of the Mary Hare School for the Deaf and is now Chairman of the Hampshire Archive Trust. He is married to Gina, who is a lay reader, and his interests include golf, fishing, music and reading. Yvon Bonenfant makes art from voices. He invites audiences to voice. He researches the ways in which the human voice touches us, and the mechanisms that permit this touching to happen. The end results of these processes are sometimes performances, sometimes digitally-animated installation artworks, and have included video art and an iPad app. He also publishes and speaks widely about his work, what it means, and its consequences. He has recently become especially interested in how we reach marginalised audiences and invite their voicing into creative processes, and as such, is currently undertaking a collaboration with Rosewood Free School, Southampton, to test and refine a specially developed artwork for children with profound and multiple learning disability, that invites them to co-make sophisticated voice and touch art from their own sounds. In recent years, he has increasingly collaborated with health and engineering scientists to realise his projects. He has held Wellcome Trust Large and Small Arts Awards, and funding from Arts Council England, Arts and Humanities Research Council, and many others. In 2016 he co-founded the company/charity Tract and Touch to facilitate wider audience reach. He is artistic director of Tract and Touch and Professor of Artistic Process, Voice and Extended Practices at the University of Winchester. A Child of Deaf Adults (CODA), Amanda grew up in a profoundly Deaf household and is a native user of British Sign Language who spent a great deal of her formative years in and around Romford Deaf Club. Amanda is Director of Communication Services at the Royal Association for Deaf People.